Are you ready for a tiny house but unsure of how or if they can withstand our New England winters? Utilities are a HUGE part of the vital design considerations that are made when designing and building a tiny house. This is especially true in colder climates like New England. Learn how to design, manage, and monitor your resources during winter so you can stay cozy and comfortable all winter long! 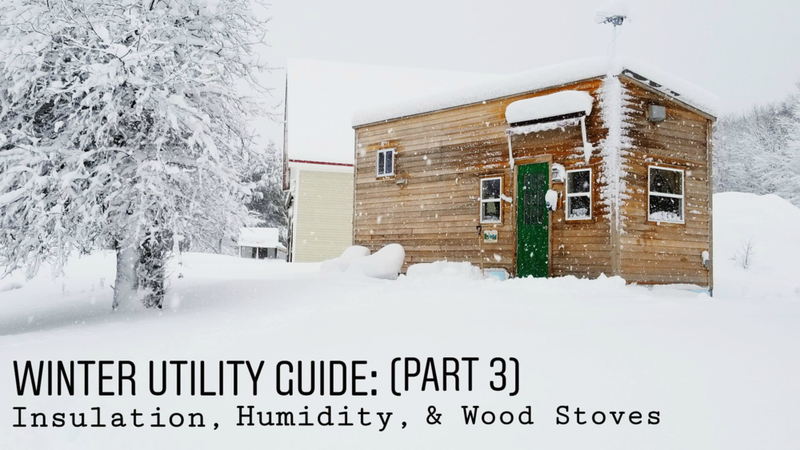 Learn about what it takes to survive a winter in a tiny house! How do you get water into your tiny house? Where does it go? And how do we keep it from freezing?! Mold is caused by excess humidity and is a big problem in tiny houses. Learn how to prevent the condensation that leads to mold! Learn more about going off-grid in your tiny house! Figure out where to park your tiny house. Get the basics on tiny house design. Read interviews with other tiny house owners.